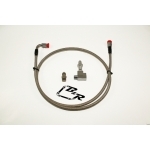 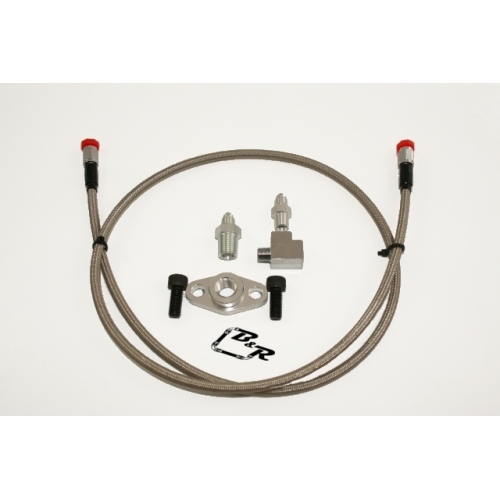 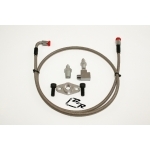 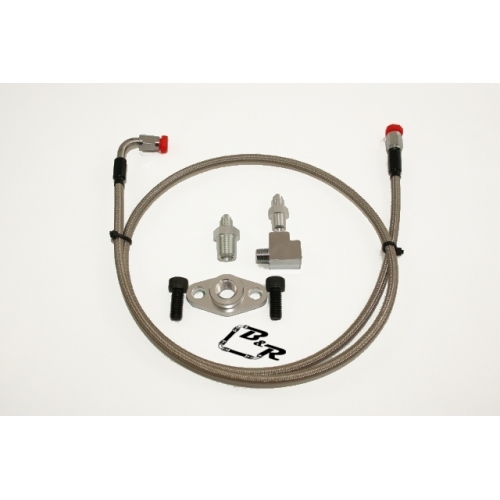 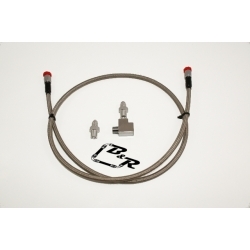 The B & R Fittings oil feed kits comes with everything to make the plumbing of your turbo a breeze. 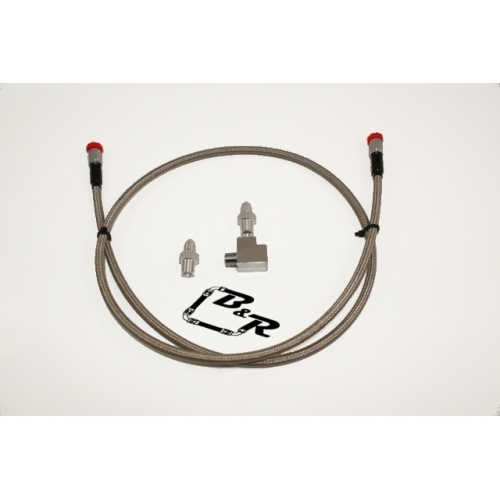 Please choose the options that best fit your setup. Note: If you need a custom oil feed line kit, please give us a call. 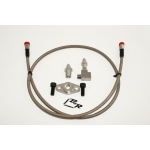 We can also make -4 feed line kits.